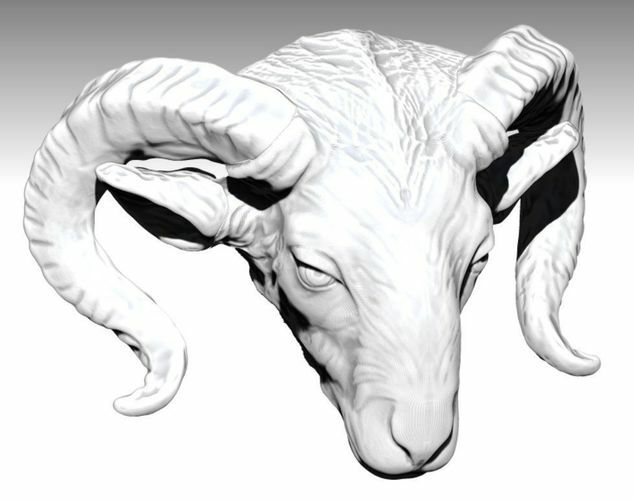 High deatiled ram head. Symmetrically. Zbrush 3 subtools, 3 polygroup. Avalible in SLT and OBJ no UV map or textures. I did like the shape of the horns.